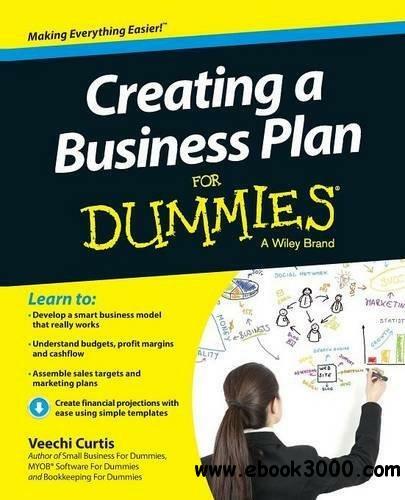 Whether you're starting a new business or you've been trading for a while, Creating a Business Plan For Dummies covers everything you need to know. Figure out whether your business idea is likely to work, how to identify your strategic advantage, and what you can do to gain an edge on the competition. Discover why a business plan doesn't have to be a thrity-page document that takes days to write, but can be a simple process that you do in stages as you work through your business concept. Learn how to prepare an elevator pitch, create a start-up budget, and create realistic sales projections. Discover how to predict and manage expenses, and assemble a financial forecast that enables you to calculate your break-even. Look at the risk involved in this business and experiment with different scenarios to see if you're on the right track. A good business plan is the first step to success for any new business, and getting it right can mean the difference between big profits and big trouble. Creating a Business Plan For Dummies gives you the detailed advice you need to design a great business plan that will guide your business from concept to reality. Translating Strategy into Shareholder Value: A Company-Wide Approach to Value Creation by Raymond J.